Ambiance & Radiance Flat is an modern and vivid re-imagination of the Ambiance & Radiance themes. Despite the name the theme has been completely re-designed. Featuring a clean and modern new look in your choice of 13 vibrant colors. Bringing style, consistency and a more personal touch to your desktop. 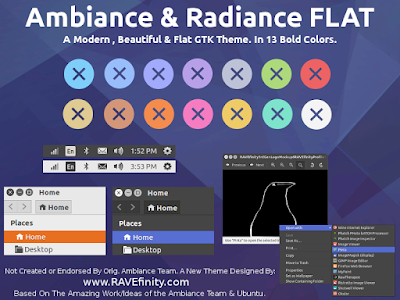 Ambiance & Radiance Flat is a continuation of our Ambiance & Radiance Colors Suite theme (In development since 2011). It inherits our previous themes 13 bold colors and broad support of many desktops environments. Theme Requires about 40 MB of disk space. Ambiance Fusion: is a hybrid blend w/light toolbars. dark panel and menu etc. 16.04.1 - New for 2016. Ubuntu LTS Family. 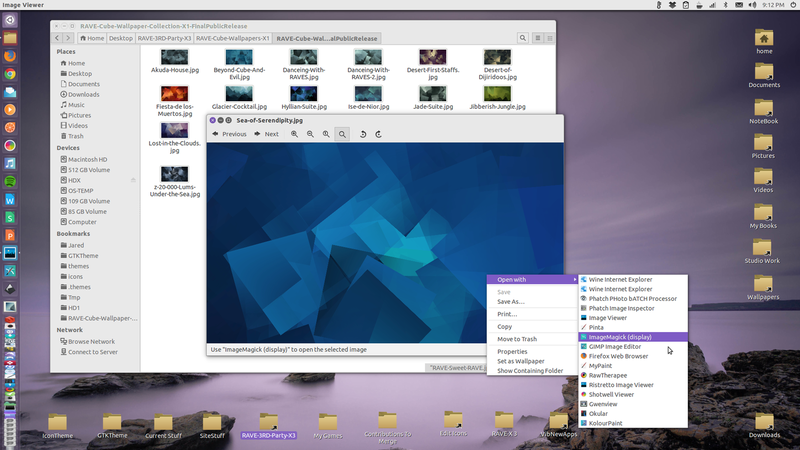 GTK 3.18 Support. Fixes for Sidebar spacing, Added Thumbnails for Cinnamon Theme Pane, Fixed Issue W/Mate + Compiz Window Border not kicking in. Fixed CSD GTK 3 App bug In Mate, Ready for LTS! 15.10.2 Overshoot and undershoot scrolling feedback added, Nicer OSD Buttons with better states. 15.10.1 Fixes for OSD buttons used in GTK 3.16 Image Viewer and other apps. Fixes to make Popout menus look pretty again. Google Chrome correctly blends into title-bar and panel. 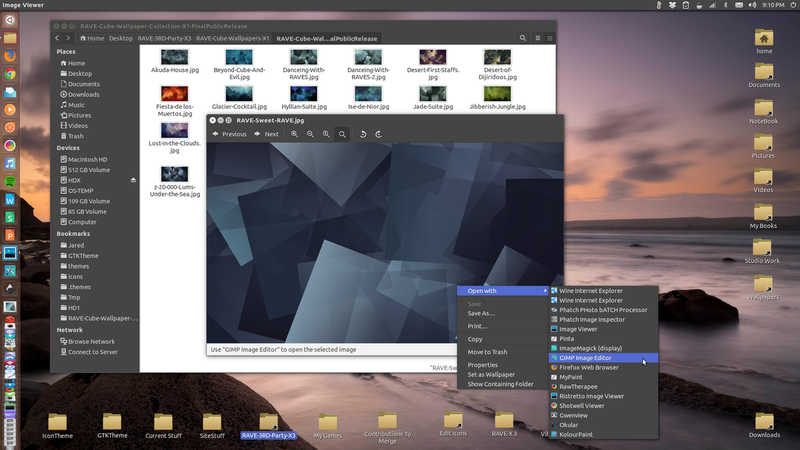 15.04.5 - Fixes Grey bands when scrolling on some GTK 3.16 Apps (Gnome Rubber-band Issue), Fixes White Gap on top of Nautilus sidebar in GTK 3.16 and Makes theme ready for Firefox when they switch to GTK 3 later this year. 15.04.4 - Fixes to CSD (Client Side Decorations). EG. When you right click to delete a file... The Window that appears in GnomeShell. All other desktops have and continue to work fine. Fixes Default button highlight in GTK Headerbar apps. 15.04.2 - Fixed Background Wallpaper With Desktop Icons on GnomeShell Issue. 15.04.1 - First release of 3.14/3.16 Branch. Completely ported theme on top of new Ambiance supporting these builds! Not backwards compatible but 14.04 LTS branch is identical. 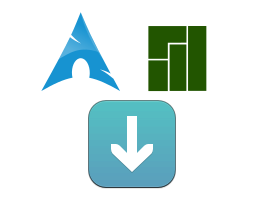 14.04.2 - (LTS Branch, Still Supported)- September 2015 we had go back and make a small unexpected tweak for Cinnamon and Mint 17.2 As they changed how desktop selected colors work in 17.2. But we went back and fixed it because when we say LTS is supported we mean it is supported! David Barr, p0ng. Please see the readme file for full credits and info. Ambiance & Radiance Flat Colors is not created or endorsed by the original Ambiance team. It is a NEW fully flat ambiance like theme that has been re-designed by RAVEfinity.